There are movies that do well, there are movies that do very well, and then there are movies like Black Panther. During the course of this week the Marvel movie became the most tweeted about film of all time, with more than 35 million mentions, bumping Star Wars: The Force Awakens into second place. The most used hashtags were #BlackPanther, #Wakanda and #WakandaForever, in case you were wondering. Turning our attention closer to home, it’s clear that local audiences were just as enthusiastic. So far it has proven to be box office gold, so let’s run through some of those records. 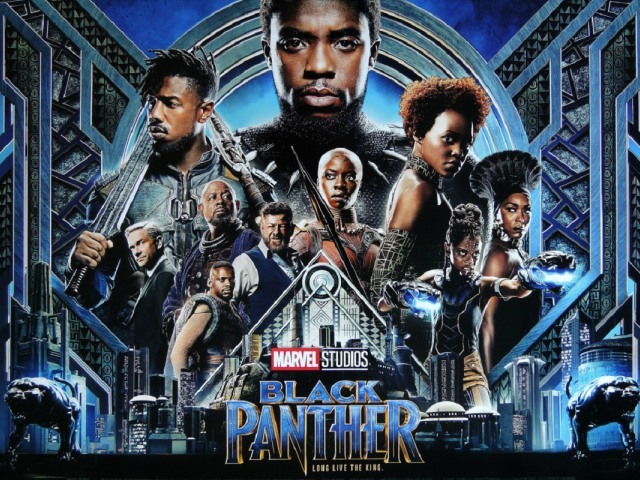 In its fifth weekend of release (March 16 to March 18), Black Panther became the all-time top-grossing film in South Africa, with a haul of over R77,6 million since its February 16 release. This record means that South Africa joins East and West Africa in claiming Black Panther as the highest grossing film of all time in these regions. Yeah, we told you it was box office gold. In South Africa, Black Panther adds the record of all-time highest-grossing film to its previous records of the highest Saturday and February opening weekend and, of course, the biggest superhero film of all time. We are thrilled at the response Black Panther has received from fans across the continent as this next chapter in the Marvel Cinematic Universe plays out with a distinctly proud African story. If you have somehow not seen this pearler yet, you might want to get on that ASAP. If you have, well played, but your work is not done. How about supporting a South African Western? Five Fingers for Marseilles had its world premiere at last year’s Toronto Film Festival, was selected for the BFI Film Festival in London, and has been described as a ‘must see masterwork’, ‘visually stunning’ and ‘captivating’, so it’s one you don’t want to miss. Luckily, you don’t have to, because we are giving our Jozi readers a chance to win tickets to an exclusive preview screening. Sorry, Cape Town, all of our tickets have already been snapped up! Here’s how you win a ticket to the exclusive preview screening at Killarney Cine Centre, Killarney Mall, – Wednesday, March 28 – starting at 8PM. Easy. You will also get FREE popcorn and a soft drink before the movie kicks off, so please arrive at 7:30PM so we can hook you up. You don’t want to miss this proudly South African production, good people. It will hit cinemas on April 6, but who wants to wait until then?